The 15 tiny islands that make up the Cooks are flung far and wide in the Pacific, and their peoples are scattered even further: for many years, more have been living abroad than in the homeland. While the Cook Islands’ economy and future are fragile, in New Zealand’s communities the culture is thriving – from language nests to quilt making and high-spirited dance festivals. Seven coral atolls, two low sandy islands, and six volcanic islands form the Cook Islands, sprinkled across a large area of the Pacific Ocean. The main island is Rarotonga. The Cook Islands were administered by New Zealand from 1901 to 1965 when they achieved self-government. Cook Islanders remain New Zealand citizens and can live and work here. At first only a few Cook Islanders arrived in New Zealand, including soldiers restless after the First World War, and girls attending schools in the 1920s and 1930s. More young people arrived after the Second World War, working in factories or as domestic staff. Increasingly, others wanted to leave their slow-paced villages and head for better wages and city life. Family members joined those already in New Zealand, and by 1976 over 12,000 had settled. When the Cook Islands government cut jobs in the 1990s, another wave came to New Zealand seeking work. The Cook Islands’ main export became its people: in 2013 some 61,000 were living in New Zealand, while only around 15,000 remained on the islands. Most went to inner-city Auckland and Wellington, working in factory jobs. Relatives back in the islands sent over green bananas, taro and other favourite foods, and the new arrivals established community groups to remind them of home. At dance halls and parties they had lively get-togethers, with ukulele and guitar music. Traditionally people sought guidance in the church. 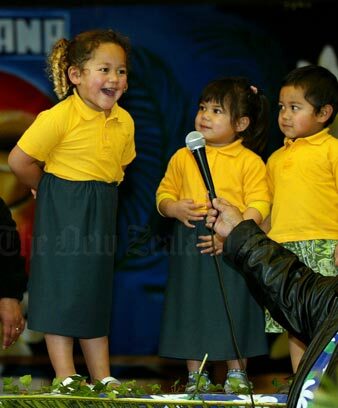 In New Zealand the church also became a place for them to meet and chat in their own language – Cook Islands Māori. Even so, by the early 2000s (when 70% of the country’s Cook Islanders were New Zealand-born), only 18% could speak their mother tongue. Preschool ‘language nests’ and teaching in some schools are helping to save it. Other customs are flourishing: embroidering tīvaevae, the colourful quilts; the ritual of cutting a boy’s hair at adolescence; energetic dance and drumming performances. The oputangata (extended family) remains a powerful unifying force.